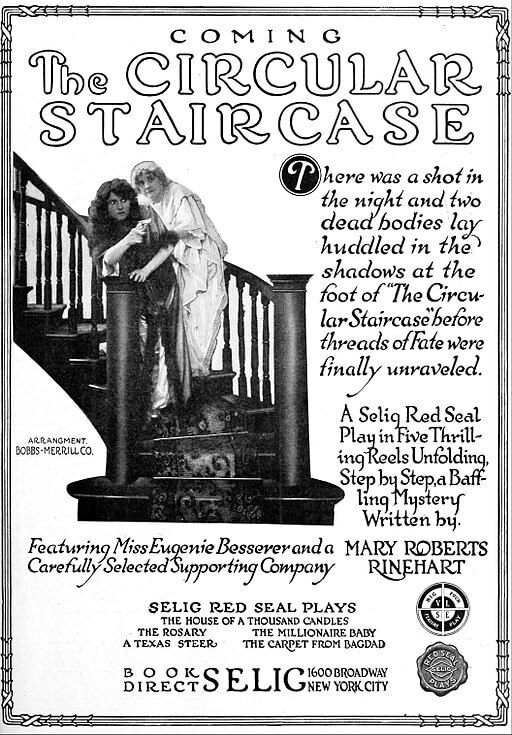 The Circular Staircase (1908) by Mary Roberts Rinehart is credited as the first "Had-I-But-Known" mystery book. It was adapted as a Broadway play, "The Bat" which premiered on August 23, 1920, and inspired Bob Kane's character "The Batman." We feature Rinehart's work in Mystery Stories. Return to the Mary Roberts Rinehart library.